Why not make your business card extra thick? 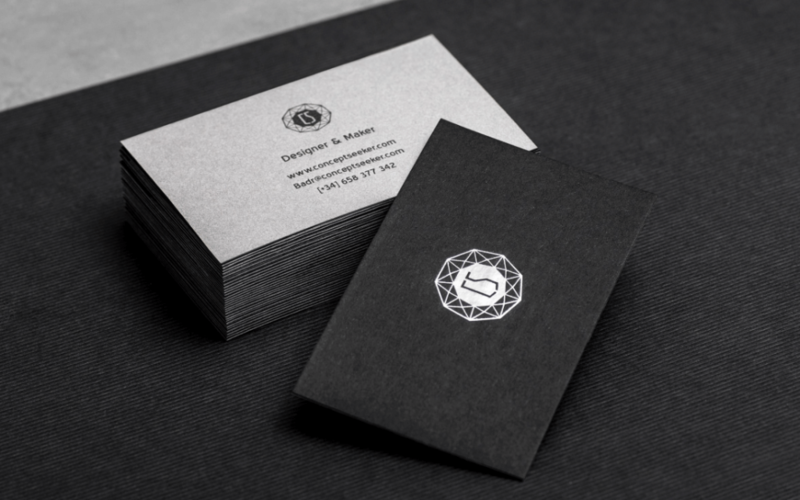 Add another card to the reverse or two cards to create a 700gsm or a 1050gsm thick card. We use a hot glue mounting technique which dries very hard and leaves the cards rigid and sturdy. Left under pressure for a number of days, this is a prestige finish. We can also duplex mount in a variety of colours. It is most popular to mount the reverse card as the same colour as the ink used on the front. A perfect finish for your Thermographic or Foiled Business cards.